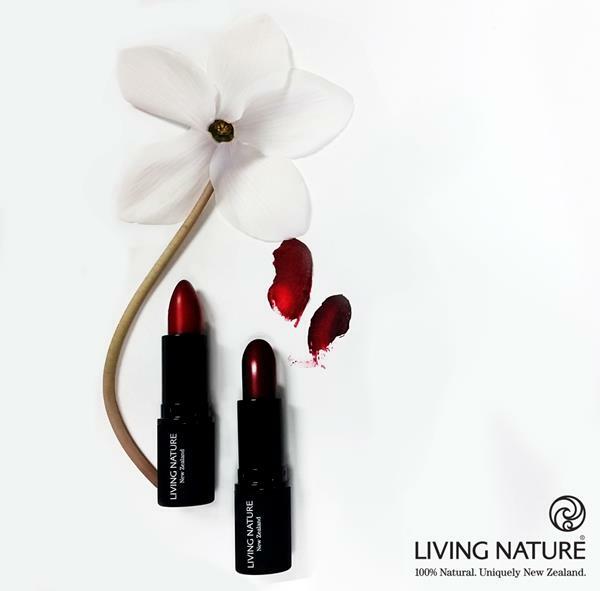 Colour your lips with shades of nature Pure Passion is a Deep Matte Red with a subtle crimson undertone. Perfect for night time it is a must have lipstick that adds that little bit of glamour & natural elegance. Nadia loves our new organic red lipsticks! “It’s a beauty!” said We Were Raised by Wolves about Pure Passion. “This is quite a versatile red to have in your makeup collection as one quick swipe will give you a wash of colour, or you can layer it with a lip brush for a more intensified, evening look. The finish is semi-matte and it feels very moisturising and comfortable on as the organic formula is fortified with Coconut Oil, Beeswax and Carnauba Wax so it's great for anyone with dry lips”.